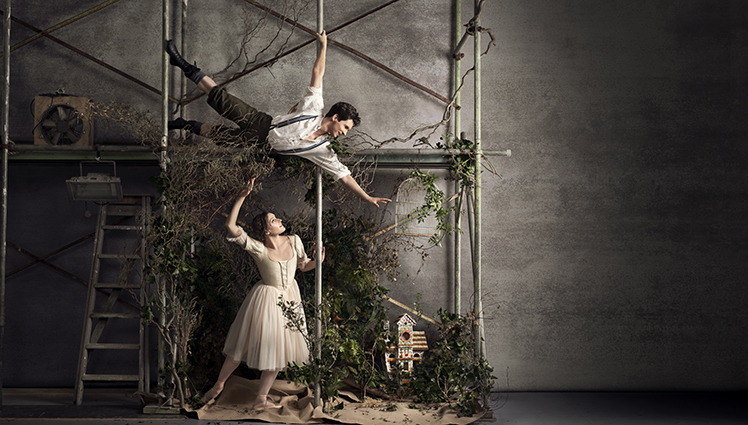 Landmark repertoire and a feast of new commissions define the Royal New Zealand Ballet’s 2019 season. The national ballet company will expand its touring schedule while continuing its commitment to education and outreach. RNZB choreographer in residence Loughlan Prior premieres his first full length work in The Ryman Healthcare Season of Hansel & Gretel featuring a newly commissioned score by Auckland-based composer Claire Cowan. This classic folk/fairytale by the Brothers Grimm promises to bring a rich offering of Christmas cheer to audiences both young and old. The RNZB Choreographic Series: Patricia Barker expresses her passion for new choreography with a new annual series of world premiere commissions from established choreographers. In its first year, the RNZB Choreographic series will bring four new works to stages in Wellington and Christchurch. Works made here, for our dancers, our audiences and our country which will be a catalyst to establishing new repertory for the company. Black Swan, White Swan: The RNZB is delighted to bring the critically acclaimed Black Swan, White Swan by Slovak choreographer Mário Radačovský to New Zealand audiences. The hero Siegfried’s struggle with ideal love, temptation, and most of all, himself, takes centre stage in this Swan Lake for the 21st century. The stage will be flooded with colour and light as choreographers from three continents share the stage in Bold Moves: Ballets by George Balanchine, William Forsythe and Andrea Schermoly. George Balanchine’s Serenade (1934) is regarded as American ballet’s founding document and returns to the RNZB’s repertory 40 years after it was first danced by the company. Tchaikovsky’s Serenade for Strings transports the dancers through time and space in flowing but perfectly structured patterns, transmitting an inner light and tranquillity to audiences as it has done for generations. William Forsythe’s Artifact II (1984) heralded the choreographer’s distinctive new voice in ballet in the year that he became Artistic Director of Ballet Frankfurt. Featuring Bach spliced with electronica, and a larger than life American athleticism, it blew the cobwebs off European ballet just as Balanchine transformed American ballet 50 years earlier with Serenade. Completing the line-up is Stand to Reason by Andrea Schermoly. First seen in 2018 as part of the RNZB’s Strength & Grace programme, Stand to Reason is inspired by boldness of the women who won the vote in Aotearoa and in turn inspired the world to do the same. The RNZB is delighted to have the opportunity to share it with a wider audience in 2019. The RNZB will continue its much-loved and popular Tutus on Tour in eleven centres ( Ashburton, Wanganui, Oamaru, New Plymouth, Nelson, Hamilton, Taupo, Gore, Kerikeri, Whangarei and Gisborne) with Ballet in a Box planned for seven centres (Ashburton, Wanganui, Oamaru New Plymouth, Hamilton, Nelson, Taupo, Kerikeri, Whangarei, Gisborne and Gore ) throughout the year. The RNZB will also continue the Harry Haythorne Choreographic Award with the support of the Ballet Foundation of New Zealand Trust, to provide opportunities for emerging choreographers. Original generation time 1.4431 seconds.